Raise a Green Dog! : Dogington Post University: Leslie May and Johann The Dog of Raise A Green Dog to present free webinar on June 20th. Dogington Post University: Leslie May and Johann The Dog of Raise A Green Dog to present free webinar on June 20th. June 20th, 6 PM EST, Leslie May and Johann The Dog, hosts of Raise A Green Dog, will present a webinar as part of The Dogington Post's Dogington University Your Dog’s Health Series. 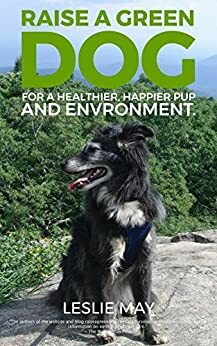 Leslie May (with an occasional bark from Johann The Dog) will discuss a wide variety of ideas about how you can help your dog be more green and healthy, and help the environment at the same time. From healthier lawn care to composting dog waste, cleaning your home for a healthier dog to how to select dog friendly and eco-friendly products for your dog and your home and much, much more! Leslie and Johann will be talking for about 30 minutes and take about 30 minutes of Q&A. The webinars are free to the public and you can sign up easily from The Dogington Post website. Be sure and sign up for Leslie's and Johann's webinar to learn how to raise a green dog.